It all started so perfect. I swatched to perfection. 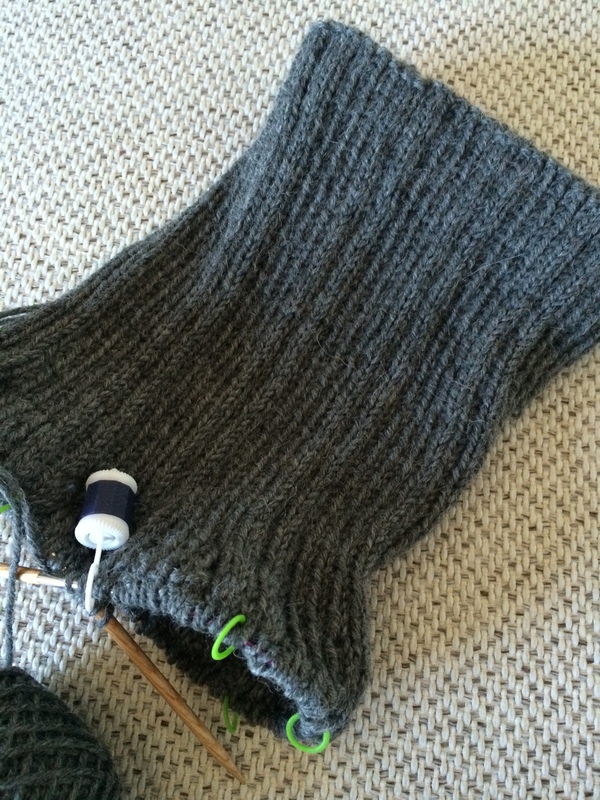 I cast on and started knitting and then …….. 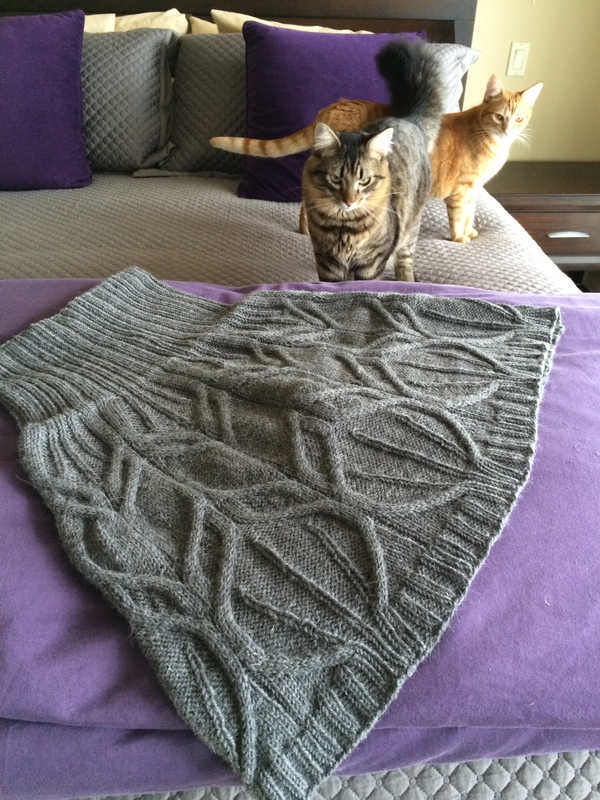 Himself says to me “What are you knitting?” A skirt, I reply. He looks at my knitting then looks at me “For who?” Me, I reply. 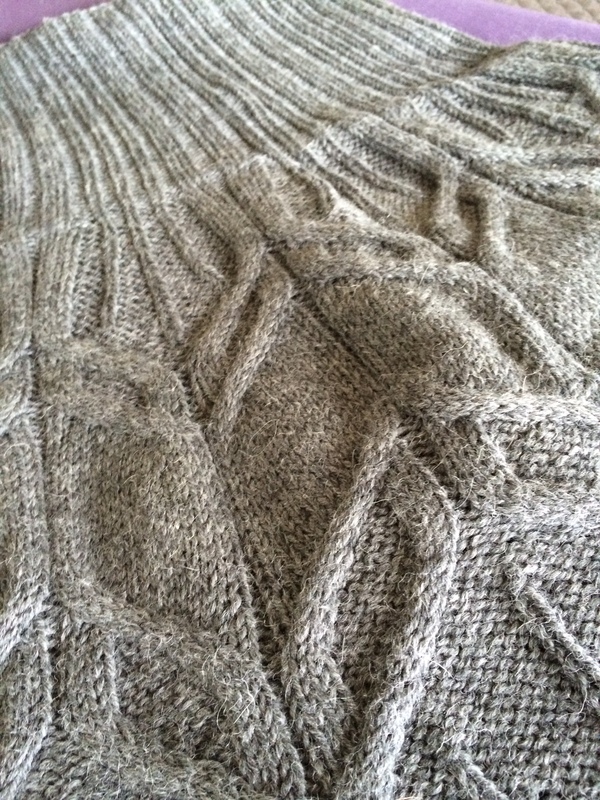 He looks again at my knitting looks at me, raises and eyebrow and says “Yes Dear”. O ye of little faith…how dare you cast doubt on my perfect plan. But now the doubt sets in. Mind you, he was looking at this.. It does look like it would barely fit my leg let alone around my hips. So I measure my gauge one more time, spot on. I knit a little more, hoping it would magically look more like a skirt than a leg warmer. But I finally give in and put this wee little bit of skirt on waste yarn and proceed to try it on. As I step into the now four inches of skirt I keep thinking I must be crazy, but not…….it pulls on over my knees, over my behind, and magic of magic a perfect fit over my hips. PHEW!!!!! I tell himself that it fits, but he gives me the whatever look. Then says “I just don’t see it” Now mind you we have gone down this road before. Until ends are woven in and knitted objects are blocked they sometimes can look a little rough around the edges. And this one looked rough. 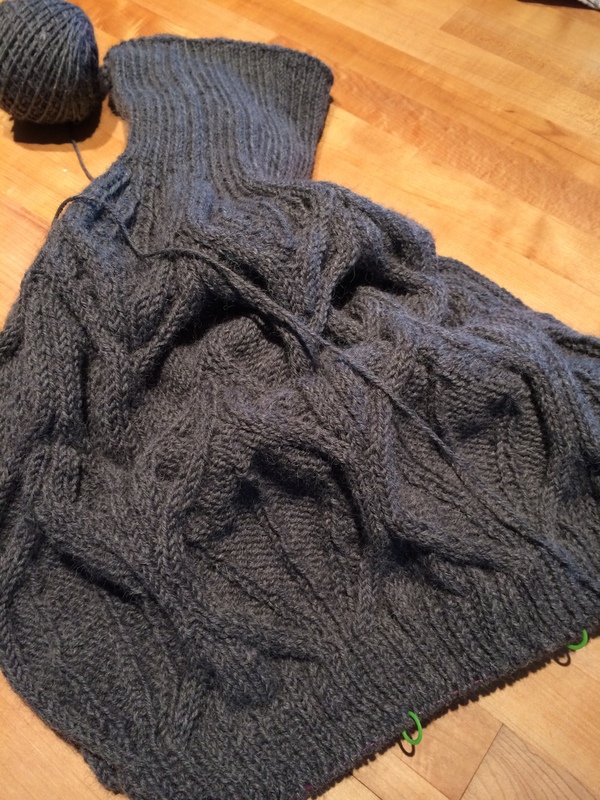 But I kept going, I loved all the cabling, I loved that it was a flippy skirt, not a straight skirt. It was fun, and cute, and dang it, I was going to finish it and wear it for my birthday. Game On! Still ugly, not the skirt of my dreams, but then into the water it was dropped…..the yarn relaxed, and the skirt was blocked. Oh YEAH, she is a beauty. So today is my birthday and tonight I am wearing this skirt for dinner out with himself. Himself will be dining on crow. .